Scientific book series that deals with dynamics, planning, and design in contemporary urban areas. Geo-Design. 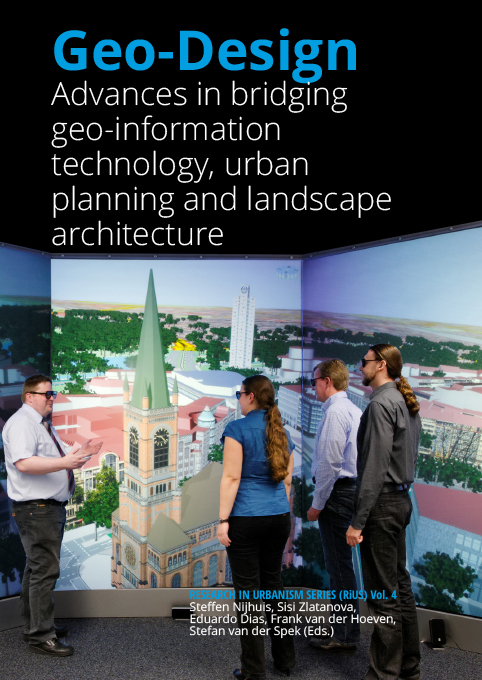 Advances in bridging geo-information technology and design brings together a wide variety of contributions from authors with backgrounds in urban planning, landscape architecture, education and geo-information technology presenting the latest insights and applications of geodesign. Geo-Design is here understood as a hybridisation of the concepts “Geo” – representing the modelling, analytical and visualization capacities of GIS, and “Design” – representing spatial planning and design, turning existing situations into preferred ones. Through focusing on interdisciplinary design-related concepts and applications of GIS international experts share their recent findings and provide clues for the further development of geodesign. This is important since there is still much to do. Not only in the development of geo-information technology, but especially in bridging the gap with the design-disciplines. The uptake on using GIS is still remarkably slow among landscape architects, urban designers and planners, and when utilised it is often restricted to the basic tasks of mapmaking and data access. Knowledge development and dissemination of applications of geodesign through research, publications and education therefore remain key factors. This publication draws upon the insights shared at the Geodesign Summit Europe held at Delft University of Technology in 2014. All contributions in the book are double blind reviewed by experts in the field. Geodesign is a GIS-based planning and design method, which tightly couples the creation of design proposals with impact simulations informed by geographic contexts. Geodesign as such comprises a set of geo-information technology driven methods and techniques for planning built and natural environments in an integrated process, and includes project conceptualization, analysis, design specification, stakeholder participation and collaboration. Though the origins of this concept can be traced back to the early1960’s – and without computers to the end of the nineteenth century – from 2005 onwards the term geodesign was introduced in order to (re-)present GIS (geographic information systems) as an instrument for planning and design. In fact it is an attempt to bridge the possibilities of geo-information technology and the needs of urban landscape research, planning and design. This is needed because often GIS is recognized as a useful tool but the potential of GIS is still underutilized in these fields, often due to a lack of awareness and prejudice. Geodesign. Advances in bridging geo-information technology, urban planning and landscape architecture brings together a wide variety of contributions from authors with backgrounds in urban planning, landscape architecture, education and geo-information technology presenting the latest insights and applications of geodesign. Geo-Design is here understood as a hybridisation of the concepts “Geo” – representing the modelling, analytical and visualization capacities of GIS, and “Design” – representing spatial planning and design, turning existing situations into preferred ones. Through focusing on interdisciplinary design-related concepts and applications of GIS international experts share their recent findings and provide clues for the further development of geodesign. This is important since there is still much to do. Not only in the development of geo-information technology, but especially in bridging the gap with the design-disciplines. The uptake on using GIS is still remarkably slow among landscape architects, urban designers and planners, and when utilised it is often restricted to the basic tasks of mapmaking and data access. Knowledge development and dissemination of applications of geodesign through research, publications and education therefore remain key factors. This publication draws upon the insights shared at the Geodesign Summit Europe held at Delft University of Technology in 2014. All contributions in the book are double blind reviewed by experts in the field. The publication starts with a personal historical perspective by Carl Steinitz, one of the founding fathers of geodesign. Further contributions are organized thematically in three parts. The papers in part 1 focus on advances, applications and challenges of geodesign in spatial planning and design. Part 2 treats more specific issues and applications of geodesign related to land use, urban and facility management. 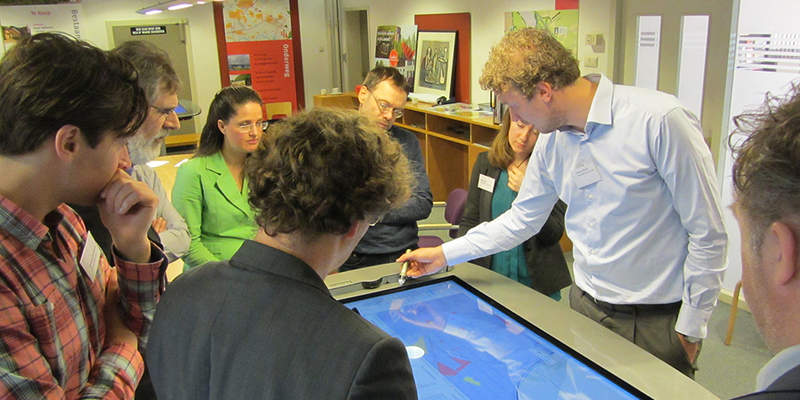 Part 3 presents some interesting cases of geodesign education. While all the papers address the wider scope of geodesign they also treat synthetic positions that overarch the whole variety of aspects touched upon, either thematically or in a specific place. Geodesign is conceived as an iterative design method that uses stakeholder input, geospatial modeling, impact simulations, and real-time feedback to facilitate holistic designs and smart decisions. This paper aims to lay bare the beginnings of geodesign as such from 1965 onwards. It offers a personal historical perspective of Carl Steinitz, one of the protagonists in the field of geodesign. The paper describes some important milestones and influential people in a joint effort to bridge geo-information technology, spatial design and planning. It showcases the ongoing effort to employ the potential power of using GIS to link different model types and ways of designing to make better plans. Geodesign requires the visualization of concepts and ideas within a context of geo-information of the respective place in a way that is understandable to people with different backgrounds – planners, geographers, architects, but also the users or inhabitants of the place. All of the roles involved have different requirements and need different information to fulfil their tasks within the geodesign process. In this contribution, we present the structure of a software system combining a GIS, a simulation system and a VR component, as well as interfaces to different interaction devices (like a GPS receiver, a spacemouse, multi-screen projection systems or devices for haptic feedback). 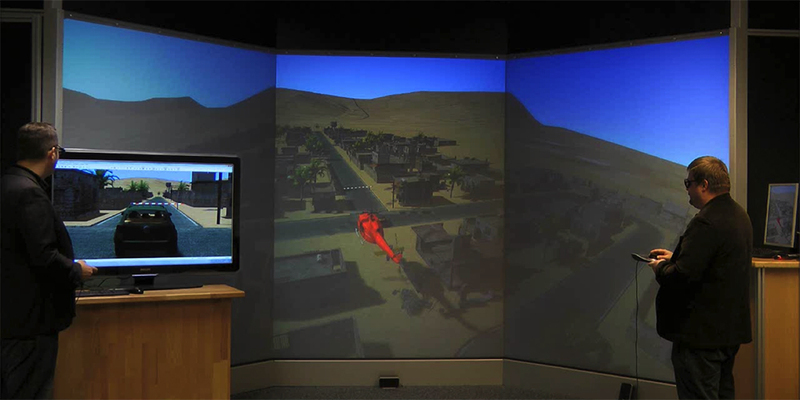 This enables simulations of the place in its geographical context, as well as immersive presentations that are understandable regardless of the knowledge of a plan’s symbolic language. All this happens without the need to convert frequently between the software tools that are commonly used by the different roles. 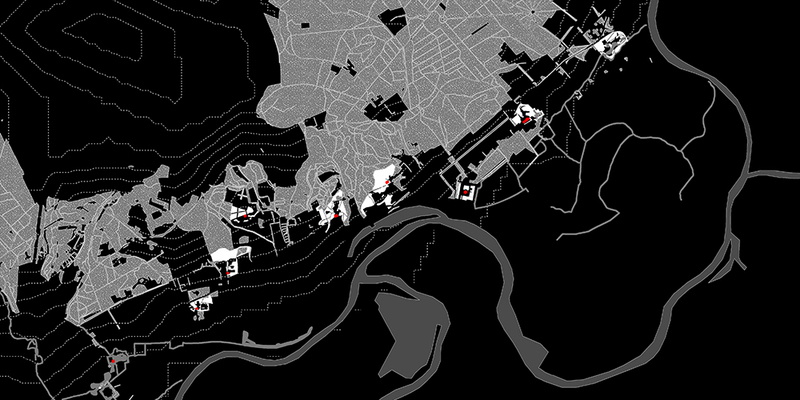 This paper explores the perspective of geodesign as a process. 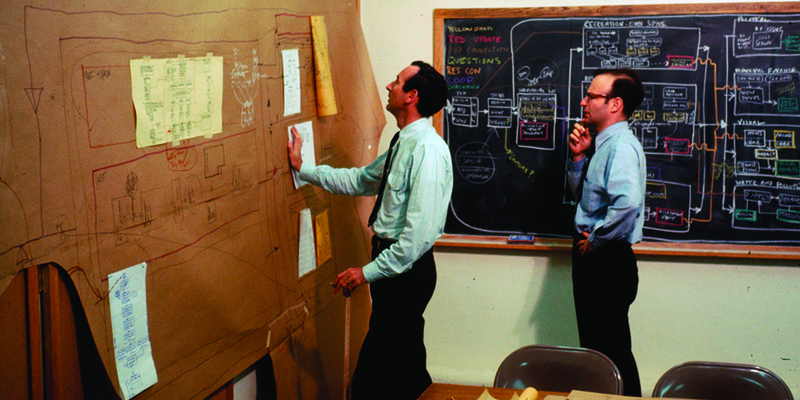 As such, it is argued methods and tools are needed to manage the process complexity, including the definition of the involved parties, of their roles and responsibilities, as well as all the steps to be undertaken to unfold the process, together with their underlying methods and enabling technologies and tools. A metaplanning operational approach based on Business Process Management is proposed to deal with the process complexity and eventually as a means to support the construction of a second generation of process-oriented Planning Support Systems. The overall discussion is supported by practical examples aiming at demonstrating how the Business Process Modelling and Notation language can be used to represent the planning processes from high level overview models to detailed ones which can express geodesign methods and enabling technologies. In this article we explore an expansion of geodesign to analyze processes of competition and cooperation by combining it with game-theoretical modelling and experiments. We test the applicability of facilitating these two fields in an integrated workshop by analysing the case study of oversupply of development sites in the Liemers corridor. Two workshops were held, with representatives of the six municipalities involved and with the regional and provincial authority, in which participants negotiated over the distribution of the supply of development sites. The workshops were performed around an interactive MapTable, with spatial information (from GIS) and financial information (from the game-theoretical model) being visualized in real-time. The integrated workshops were assessed to discover differences in terms of process and outcomes, and they examine whether and how learning takes place. We conclude that the combination of game theory and geodesign provides added value for planning support by facilitating a realistic discussion, and negotiation that is strongly connected to real-life locations, and by aiming at designing a common, collaborative solution. Through the integrated workshop learning about the problem of oversupply in financial and geographical terms and also about each other’s motives and behaviour is stimulated. The assessment of spatial systems can be supported by the analysis of data coming from different sources and describing different aspects such as economic, social, environmental, energy, housing or mobility issues. Nevertheless, the analysis of such a large amount of data is difficult. In order to improve the readability of data also with non-technicians, new methods of communication are needed, which could facilitate the sharing of information among people with different skills and backgrounds. In this context, the paper shows the developments in geo-visualisation to support and improve the processes of planning and decision-making. First, the use of a map-based visualisation is suitable for intuitively understanding the location and distribution of specific elements. Second, the graphic interface can be used to drive users in the investigation of data. It can provide a linear method that is more comprehensive to the human mind in dealing with the complexity of spatial systems. In addition, the possibility to select and filter data by single attributes allows databases to be explored interactively and read by differently skilled users. The intersection and overlapping of information enables users to discover the relationships between data, the inefficiencies and critical areas, thus providing suggestions for further reasoning in planning and decision-making. Furthermore, collaborative and participatory sessions require quick answers and simple readability. Thus, the real time response to simple queries widens the opportunities for improving the discussion. A case study describes the methodology used for sharing the data collected during an Interreg IVB NWE Project named “CoDe24” (INTERREG IVB NWE, 2005; ERDF European Territorial Cooperation 2007-2013, 2010). By the use of a web-GIS visualisation tool, namely GISualisation, the project partnership was allowed to explore the data concerning the railways and train typologies along the Genoa-Rotterdam corridor. Despite the high factor of usability of the tool, it was not employed much by participants to the project so that further reasoning is needed to evaluate how digital tools are perceived by professionals. This paper aims to frame the multi-layered water safety concept in the context of a systematic, thorough, multidisciplinary and collaborative methodology for complex problems solving, i.e. geodesign. Multi-layered safety is an integrated flood risk management (FRM) concept based not only on flood probability reduction through prevention (layer 1), but also on consequences’ minimization in the case of a flood through spatial solutions (layer 2) and crisis management (layer 3). It has been introduced in the Netherlands in 2009 following the European Flood Risk Directive adopted in 2007. In this study, the multi-layered safety is qualitatively assessed, demonstrating that it rather resembles a parallel system, and that collaboration is required to decide about the most desirable safety measures, which should not only be based on their economic efficiency but also on their social acceptability. In the light of these factors, we attempt to methodologically systematize the multi-layered safety concept by following the geodesign framework. The latter means that, through its implementation, understanding of the current situation of a particular area of interest, which in turn it may support, the allocation of weights regarding the three layers of the multi-tier safety concept is facilitated. 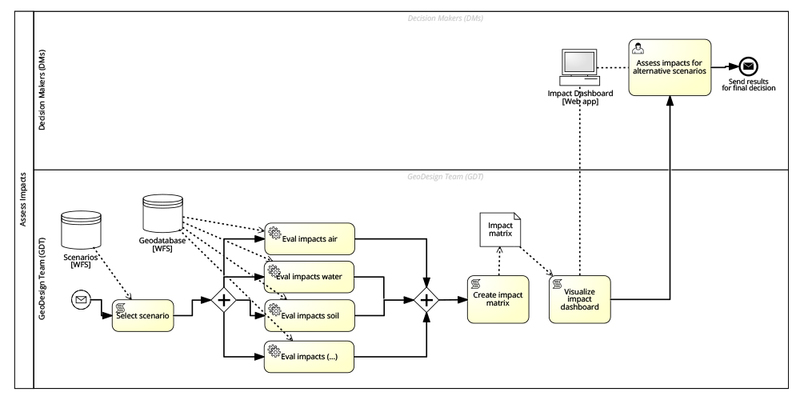 Furthermore, the geodesign of the multi-layered safety shows that participation and interaction of the safety policy makers, as well as iterations for achieving maximum consensus between them concerning the more balanced safety measures, taking into account their economic efficiency, their impact on the environment, the local circumstances and the values of the people at place, are methodologically enabled. This contribution describes the tool Social Safe Urban Design (SSUD), seen together with socio-spatial and linguistic challenges when applying space syntax in the regenerating of problem urban areas. The Space Syntax jargon is technical and needs to be translated into a language understandable and acceptable to stakeholders who are responsible for the implementation of improvement strategies acceptable for the users of a neighbourhood. Moreover, the degree of public-private interface between buildings and streets needs to be incorporated in the Space Syntax analyses. 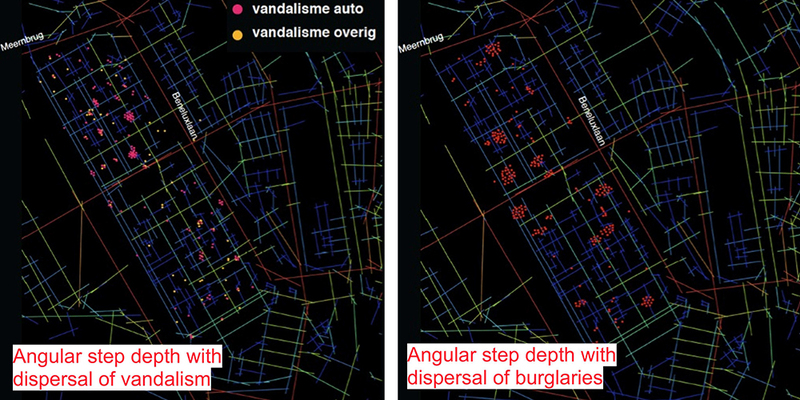 As it turns out from spatial analyses and crime registrations, there is a correlation between crime and anti-social behaviour and the spatial layout of built environments in the investigated eight pilot cases. Simultaneously, there is also a challenge to come up with locally and globally functioning spatial solutions for reducing opportunities for crime and anti-social behaviour for the neighbourhoods. Proposed solutions for three of these neighbourhoods are presented in this contribution. The purpose of this research is to analyse the thermal behaviour of South Holland provincial parks during heat waves, in order to provide design adaptation guidelines to increase their cooling capacity over the hotspots present in their urban surroundings. This research analyses the thermal behaviour of different land use patches (forests, cropland, grassland, water surfaces, built areas and greenhouse areas) present in the six South Holland provincial parks during heat waves. It studies their average night land surface temperature (LST) (with Modis 11A1), day LST (with Landsat 5TM), NDVI, imperviousness, patch size and patch shape index, and analyses through a multiple regression analysis the impact of each of these last four parameters in the night and day LST for each land use. Within each land use category, NDVI, imperviousness and patch shape index influence differently the thermal behaviour of the patches. NDVI is inversely correlated to day LST for all categories, imperviousness is correlated to day LST for all areas which do not comprise a significant presence of greenhouses (grassland and built patches) and inversely correlated to LST for areas with a high presence of greenhouses (cropland and warehouses). Finally the shape index varies depending on the nature of the surrounding patches, especially for small patches (built areas, forests and greenhouse areas). Most of the hotspots surrounding the Midden-Delfland park are adjacent to grassland patches. The measure to increase the cooling capacity of those patches would consist in a change of land use and or an increase of the NDVI of the existing grassland patches. These suggestions to increase the cooling potential of the parks remain deliberately open in order to allow combining these measures with other spatial planning priorities. Lingering vacant facilities deteriorate the condition of an urban environment, and, as a consequence, actuate neighboring companies to leave the area as well. In addition, new development efforts keep depleting scarce land resources. In this paper, a framework is presented to match existing vacant facilities to the requirements of potential customers or owners to promote sustainable redevelopment and reuse. Important attributes for facility reuse are identified from literature. To automatically extract these attributes from models and their surroundings, Geospatial information and Building Information Models (BIM) are combined. In the proposed framework, a profile is created for each existing vacant facility by combining BIM and GIS attributes. As a result, these profiles can be matched to the desired BIM model, which the aspiring users have provided, based on a weighted distance calculation. The framework presents the most suitable vacant facilities to the users in order to promote facility reuse. 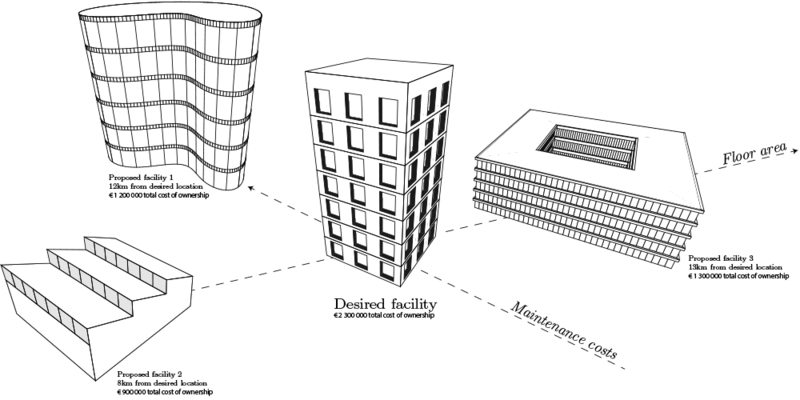 These facility reuse alternatives are evaluated based on a single monetary metric that represents the effort required to partially or fully accommodate the requirements of the aspiring users, which is reflected in the weighted distance between profiles from existing vacant facilities and the facility desired by the end-user. This framework identifies suitable areas for redevelopment after which a process is started that forms an iterative and comprehensive evaluation dialog between demand and supply parties, on multiple scale levels, including various design alternatives to adapt the existing facility to the desires of the consumer and revitalize the surroundings according to Geodesign principles. A proof-of-concept of the framework is presented together with the conceptual system structure. Evaluation of the attributes and the technical implementation of their extraction from BIM and GIS data show the technical feasibility of the approach. A MOOC titled “Geodesign: Change your world” demonstrated a unique approach to scaling up awareness about geodesign to a global audience. Massive Open Online Courses (MOOCs) are gaining visibility as a wide-reaching educational trend to provide exposure on topics, theories and techniques in any field. 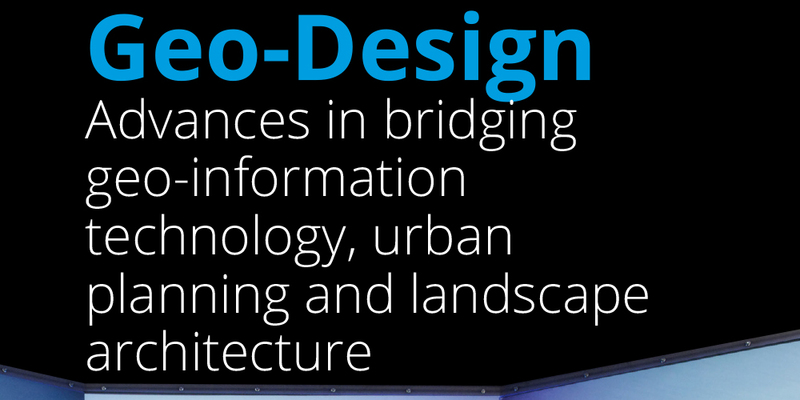 The first MOOC on the subject of geodesign was offered in Autumn 2014. 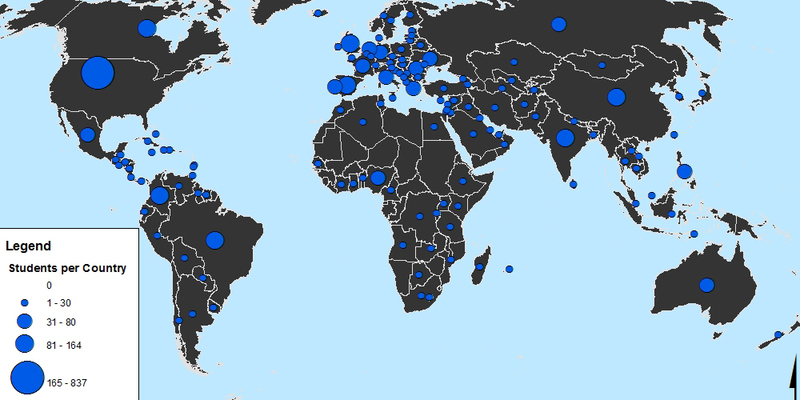 Over 17,000 people registered from 167 countries. The results yielded a unique worldwide conversation about geodesign. This paper discusses how this MOOC engaged a global audience of thousands, including the challenges and opportunities experienced with the development and delivery of the MOOC. The outcomes illustrate how participants gained appreciation for the role geodesign can play in land planning and design issues in their location. 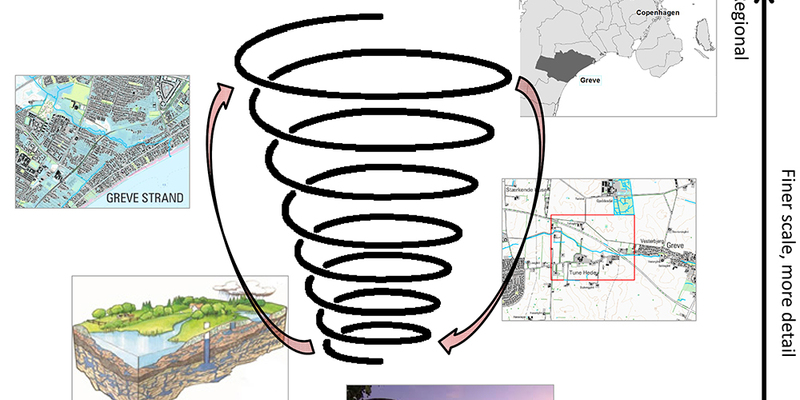 The Geodesign MOOC course’s dynamic structure breaks from the typical format of MOOCs. Examined here are the innovative course design and delivery mechanisms deployed in this MOOC. Drawing on recent research about online learning, pedagogical and technological issues important to consider in MOOC development are reviewed. Geodesign provides a conceptual framework through which to understand relationships between geoscience and design. This paper takes its point of departure from the merger of the Departments of Geography and Geology and Forest, Landscape and Planning at the University of Copenhagen, and the subsequent approach taken to Geodesign as a means to realise potentials within the new academic structure. The aim is to address specifically how an on-going process of transforming the Landscape Architecture program has begun to integrate GIScience in a new way that fosters integration within and between disciplines. The approach to Geodesign will therefore be discussed in terms of cross-disciplinary dialogue and curriculum development. Emphasis will be placed on the results of the Geodesign Conference held at UCPH in November 2014 at which practitioners and academics came together to present extensive experiences and understandings of Geodesign. The conference was also the forum for discussion of the challenges and opportunities offered by Geodesign in the context of teaching.